Even before he participated in fashioning the country's constitution, Adenauer had had a long and eventful political career. Born in 1876 in Cologne, he studied law and economics and became active in local politics. As a member of the Catholic-based Center Party, he became the mayor of his home town in 1917. The National Socialists deposed him in 1933, and, after the attempt on Hitler's life on July 20, 1944, he was arrested and imprisoned for four months. After the war, the United States reinstalled him as mayor of Cologne. The British military authorities, however, fired him from this position because of alleged incompetence. In March 1946, Adenauer became chairman of the CDU in the British occupation zone and, after having shown extraordinary leadership in the deliberations on the Basic Law, became the first chancellor of the newly formed state. 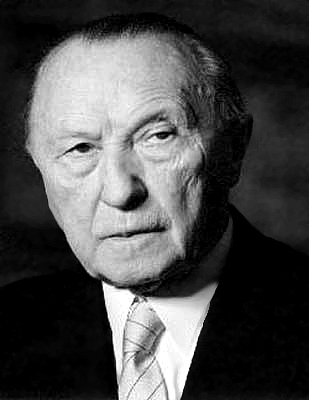 One of Adenauer's main goals was regaining his country's sovereignty. Although the Basic Law gave full legislative, executive, and judicial powers to the new FRG and its Länder, certain powers were reserved for the occupying authorities. The Occupation Statute, drawn up in April 1949 by the foreign ministers of the Four Powers, gave the occupation authorities the right to supervise the new state's foreign policy, trade, and civil aviation, as well as the right, under special circumstances, to assume complete control over their own occupation zones. Once again, Adenauer seized the opportunity to further integrate West Germany into Western Europe. 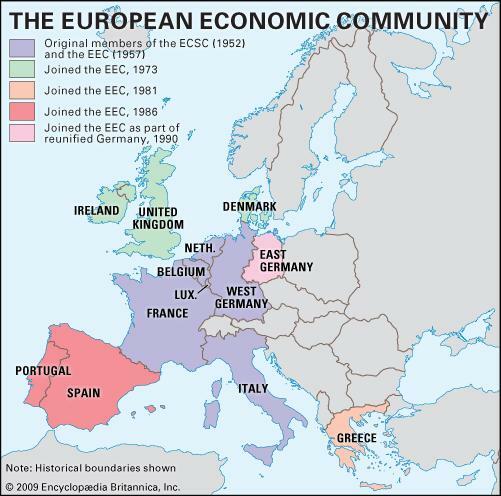 Against the SPD's strong opposition, the FRG entered into negotiations with France, Belgium, the Netherlands, Luxembourg, and Italy on the formation of the ECSC. 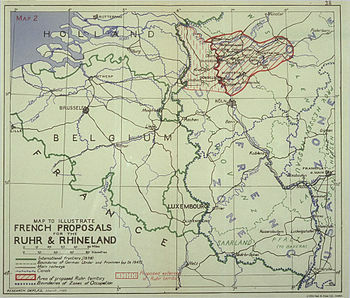 Negotiations were successfully concluded in June 1952. The ECSC superseded the International Authority for the Ruhr and laid the foundations of the future European Community. Adenauer's conciliatory but resolute foreign policy also secured the admission in 1951 of the FRG into the Council of Europe, a body established in May 1949 to promote European ideals and principles.